If you have previously considered hammock chair an outdoor accessory, think again. 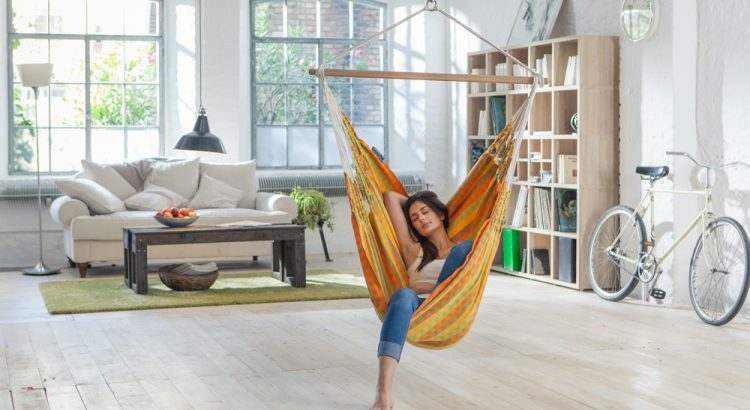 Yes, that cool swinging thing that can be placed inside your home! As a symbol of serenity, lightness, and leisure a hammock chair can add a sense of peace and relaxation to any home décor and is an ideal alternative to a classic static chair or even rocking chair, which may seem visually heavy and disrupts the energy flow in your home. One of the best things about indoor hanging chairs is the fact that DIY installation is not rocket science. To help you do it right, here is a comprehensive guide on what you need and how to go about the entire process. No doubt, having a hammock chair indoors is extremely comfortable and a perfect hideout for reading, listening to music, drinking a cup of tea or just relaxing. But which one is the best for you? You can choose from multiple colors and styles to reflect whatever decorating idea. We’ll help you to make a decision and choose the option that best matches your criteria. Handmade hammock chair in orange by Chilloutchair. The chair looks interesting and unique and brings life to any room it’s placed in. The wooden spreader bar is really something special- each one is hand sources from the wild native beaches of the Baltic Sea. If you are a person who appreciates art, comfort, and expert hand-craftsmanship than the Chillout-Chair is definitely for you. It will bring you and your family hours of relaxation and ensure you always have a snug place to get away from it all. The manufacturers paid attention to detail and it shows. The cotton used for the rope is tough yet still soft and comfortable and the oak wood was smooth. The chairs are coated with a special eco-friendly sealant to make them weather resistant. The chairs also come with a stowaway footrest and soft, durable pillows which make them even more luxurious. This is without a doubt one of the best hammock chairs in the market. With an integrated 360-degree safety swivel it is very easy to install. La Siesta meets the highest standards of quality with respect to nature and humans and this product does stand out due to the high-quality workmanship, durability and unique comfort it offers users. The organic cotton fabrics is also very soft to the touch and smells nice right out of the box. Yellow Leaf Hammocks is a unique company that breaks the cycle of poverty by creating sustainable jobs. 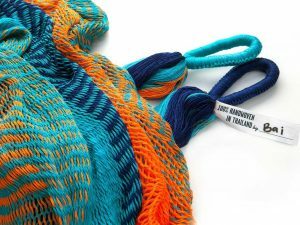 All of their hammock weavers are people who were previously trapped in debt slavery or extreme poverty. Yellow Leaf Hammocks allows them to earn a stable income and maintain the dignity of work. They believe in providing a hand up, not a handout. 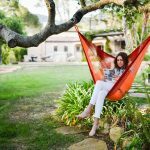 If you want to spend your dollars where they will do the most good, an indoor hammock chair from Yellow Leaf Hammocks is a great way to do this. In addition, you will be receiving a hand-woven high-quality hammock chair for all of your relaxing needs. If you’re looking for a comfy hammock chair and still prefer a high-quality brand hammock chair against a cheap model, but don’t wanna spend a fortune, then this Brazil hammock chair is the right choice for you. The very cheerful Currambera Collection is very cheerful available in Kiwi, Blueberry, Apricot, and Chery. 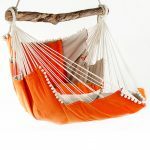 This hammock swing chair is the largest La Siesta hammock chair and is ideal for families with kids. The Lounger is comfy yet tough, it combines the feel of a hammock and the space-saving qualities of an indoor hammock chair. There is enough space for a couple, a parent and a child, or even you with your dog. Made of pure cotton, extremely resistant to tearing, and very easy to set up. 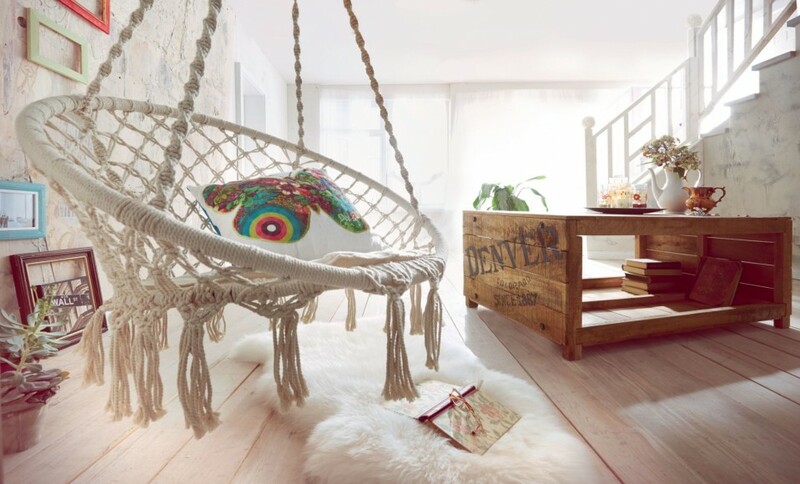 A handmade macrame hammock swing chair will make any space a bit bohemian. This macrame style chair is made from 100% cotton. 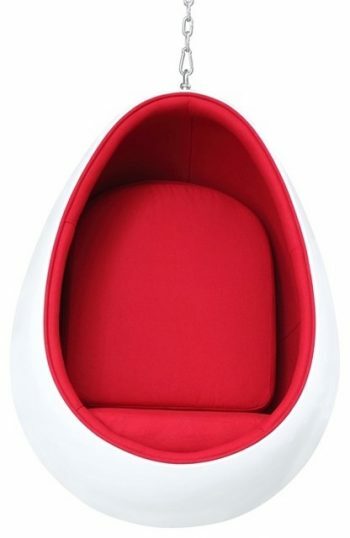 It is breathable like a hammock and at the same time has a solid seat like a basket chair. It is not only stylish but also comfortable and the perfect combination of aesthetics and functionality. Christopher Columbus not only stumbled upon the Americas, but he also came across the traditional hammocks that were used back in the day by inhabitants of Central and South America. They used it to safeguard themselves from biting ants, snakes, animal bites, insect stings and transmissible diseases. Soon they were used by sailors for a completely different reason—sleeping on the ships. Hammocks still remain a popular commodity and are favored by families, children, couples as well as physiotherapists and individual travelers. Mainly an outdoor product, hammocks are the best way to relax and unwind. However, with the introduction of hammock chairs, calming your nerves and simply relaxing after a long day at work has a whole new meaning now. They the fancy and cool piece of furniture that can be placed inside your home. Do you love that light-as-the-breeze hammock feeling which reminds you of romantic nights under the stars, warm tropical beaches, extravagant gardens, and sunny balconies? With a comfy hammock chair, you can have it in your own home. A hanging hammock chair doesn’t take up as much space as a classic hammock but can add a touch of softness and coziness to the interior décor . Having one hanging in your home is surprising although a growing trend in modern interior design. There’s a reason why babies love swings – it reminds of gentle rocking motion the mother’s womb. It can soothe infants but also adults can enjoy all the same benefits from rocking. 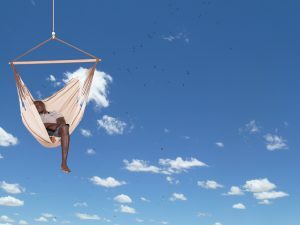 Just a few minutes spent sitting in a hammock chair relaxes the body and allows people to sleep better and can relieve stress and lower blood pressure. It’s a great place to unwind after the hard day and relax. 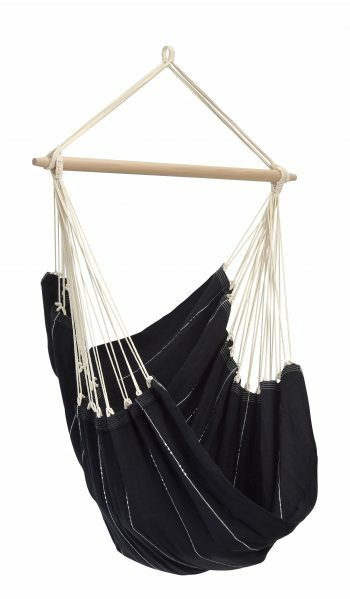 You can buy one or you can DIY a macrame hammock chair, it’s up to you, but you definitely should spend at least 10 minutes in a hammock chair every single day, unless you’re too busy. Then you should spend an hour. 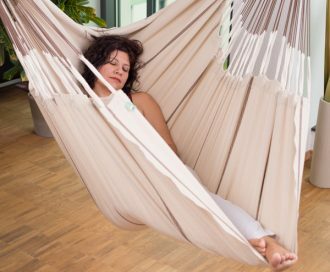 Here are 7 Reasons why to Hang a Hammock Chair Indoors. Right by the huge window sounds like an excellent spot. But hammock chair would add totally new dimension to any room in your home. Perfect for those cozy corners in your living room or in your children’s bedrooms, it is an excellent piece of furniture to jazz up your indoor spaces. 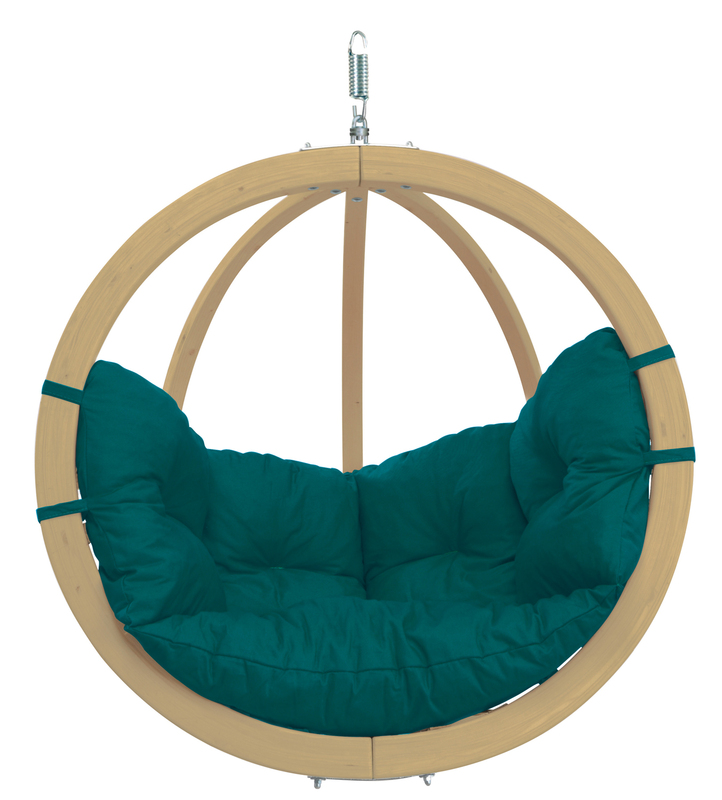 Look around you- is there any free space for a beautiful hammock chair? You better look twice … at that big chair in the corner. Do you really need it?! Yes that’s right, it takes a lot of space and nobody actually ever use it – you can totally live without it! Get rid of it! A hammock chair is more inviting, stylish, trendy, comfy tend to take up less space physically and visually. And the best – You can easily hang it from the ceiling , take it down once you don’t need it and throw it in the closet. So simple is that. Hanging chairs require only one suspension point and can be hung in every room in your home. With a hanging chair for kids, you’ll design a new universe from children’s room. Children simply adore them! They not only fun but also very healthy- the gentle rocking movement has a soothing effect on children, which can develop concentration and sense of balance. What are the predominant colors surrounding you in your living space? When selecting a hammock chair to enhance your home decor, pay close attention to material, and colors. Striped with vivid and warm colors, that are suggestive of the sun, fire, and stars, hammock chair can completely change the atmosphere and the ambiance of your home bringing spring summer feeling even in winter. White, beige or ivory set relaxed tone of understated elegance every room that receives a lot of sunlight and has a good view into a garden or similar relaxing space. Their pureness and softness are calm and relaxing, so if you want to hang your hammock chair in your bedroom, such neutral colors the right choice. Hanging a hammock chair indoors is possible in many ways. You can choose a stand or, you can suspend it from the ceiling or strong beams. Modern adjustable hammock chair stands, varying in materials and design, are made of wood, metal or material combinations to enhance all your decorating projects. Also, there are specially designed hanging systems only for hanging seats. 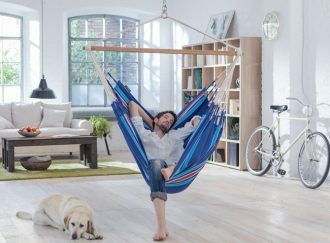 Some of them are meant only for the ceiling, some are specialized for trees and there are also universal suspension sets, allowing you to quickly hang your hammock chair and easily adjust it to the optimal height.